Our ferries, not only connect roads but also experiences to share. Here you can access schedules and fees for our ferries between the ports of Fuy and Pirehueico; you can book with us as well as send us your questions and recommendations. 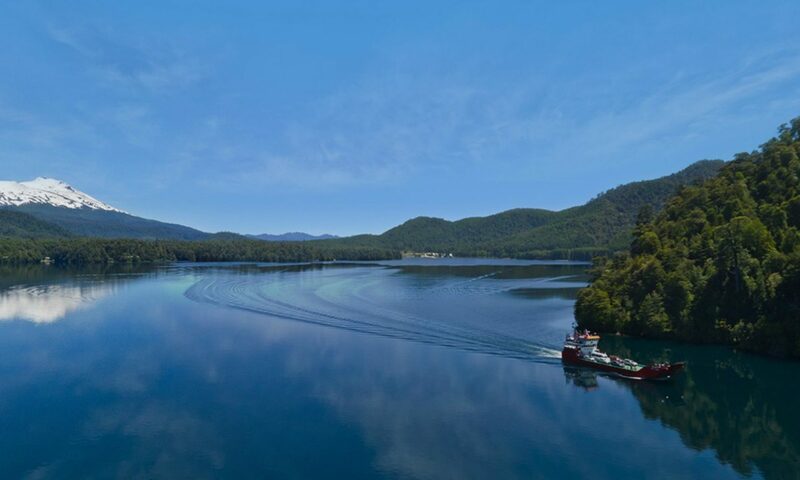 Fuy Port, on the northwestern site of Pirehueico Lake, is located 112 miles from Valdivia, passing through the towns of Lanco, Panguipulli and Neltume. Pirehueico Lake, located in Panguipulli, plays an integrative role between Chile and Argentina. “Hua Hum” Ferry connects the Chilean ports of Fuy and Pirehueico, sailing 14 nautical miles in about an hour and a half alongside a wonderful nature reserve of native forest, with trees at the shore hanging from the Andean mountains. Ferries' dock at Puerto Fuy, Ruta Internacional CH-203, Los Ríos region, Chile.